They spout . . . breach . . . spyhop . . . dive . . . and lobtail! You are whale watching off British Columbia's coast and these are typical whale maneuvers. 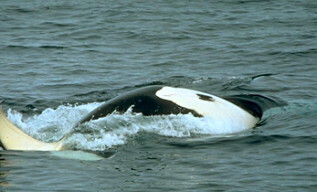 Waters in the Pacific Northwest are home to many magnificent marine mammals. 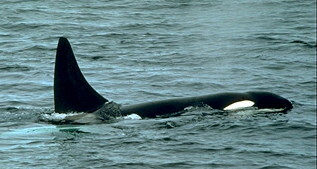 The most popular, of course, are the whales, but there are many other marine animals found in this region such as dolphins, porpoises, seals, sea lions and sea otters. The coastline of Canada's most western province, is a maze of straits, sounds, and fjords, hundreds of islands and inlets. Scenery is unsurpassed, as the blue ocean meets the green forests covering the mountains, which reach for the sky. Because much of this coast is uninhabited and accessible only by boat or floatplane . . . it remains a pristine wilderness. The rich and nutrient filled waters are home to a great variety of marine wildlife.